Nintendo Issued a press release today revealing some interesting information. The headline of their press release has the price of the Wii slashed from $169 to $149.99, but the launch of Nintendo Selects will see Twilight Princess make it’s way back onto store shelves for just 19.99. The program feels very reminiscent of Nintendo’s Player’s Choice games, but at this point only Nintendo games have been selected. 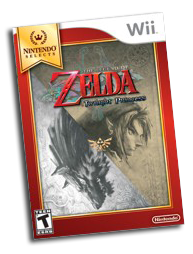 Twilight Princess, along with the rest of the Nintendo Classics will release on May 15. Tell us what you think about this in the comments!